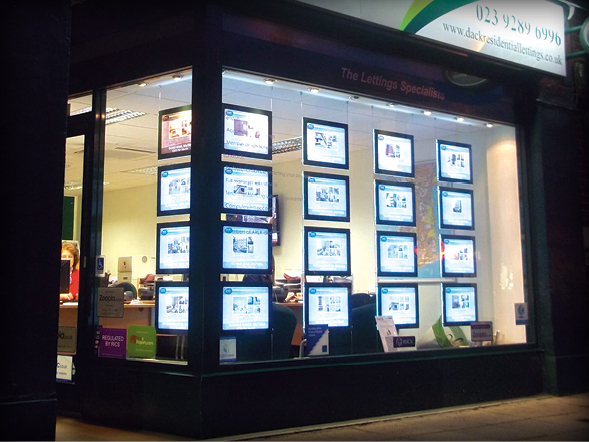 Provides bright eye-catching window displays by night, and slick stylish property displays by day. The illuminated LED pocket craze has taken hold in recent years, and it is not hard to see why! 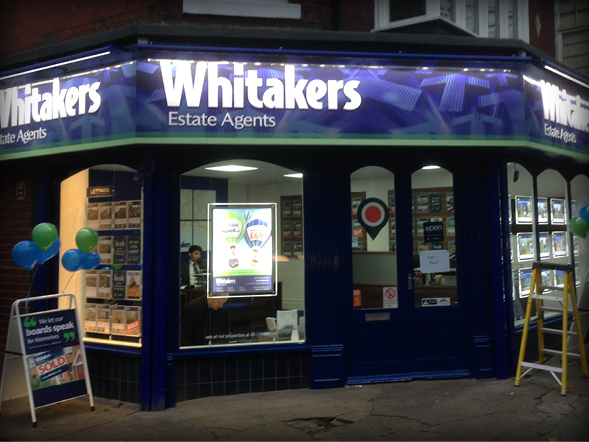 Give your properties best possible exposure and posters and products the light and space they deserve. The lightpanel technology can be added to rotating display & lectern display systems and is available in a range of standard sizes. As a manufacturer we are able to offer the production of bespoke sized panels also. We also provide many other cable/rod components to complement these displays and stock daylight bright 600 x 600mm ceiling tiles to replace cat 2 lighting panels on suspended ceiling grid to brighten the office interior as much as the window! LED technology with energy and cost saving technology. Other illumination options include our track-lighting & cable / rod lighting kits which also use the latest LED technology. 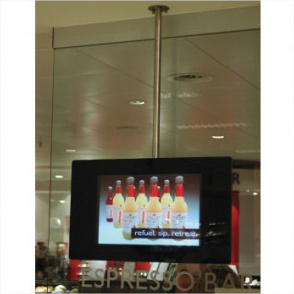 We now also offer external digital signage using the similar plug & play solution and are able to incorporate small screens within point of sale stands to view the full range visit our brochure download page, or contact us for more information. 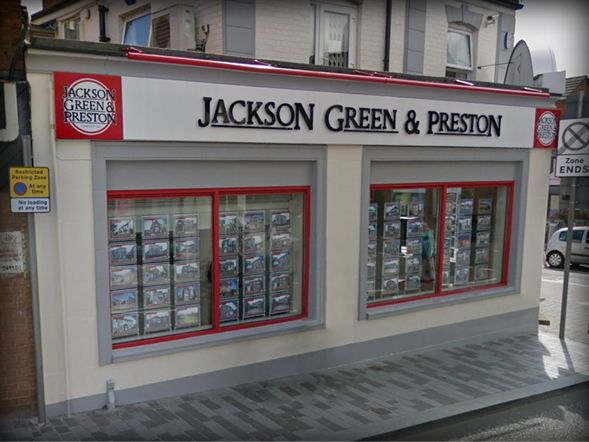 As an approved distributor for intouch display we are pleased to offer you the very best in touch screen technology, software integration and customer service. 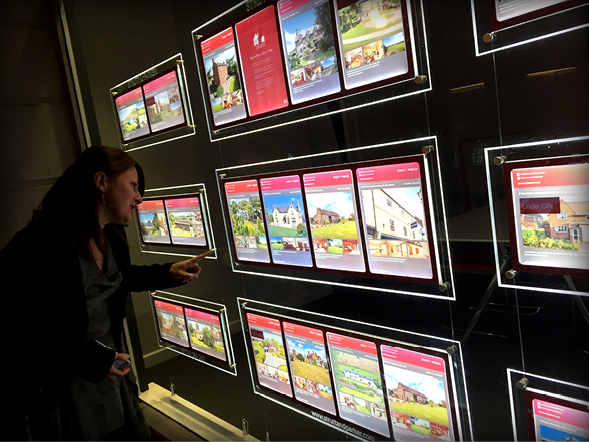 Through-glass touch screens interact with the customer, where they can register their details, request a viewing or book a market appraisal any time of the day or night. 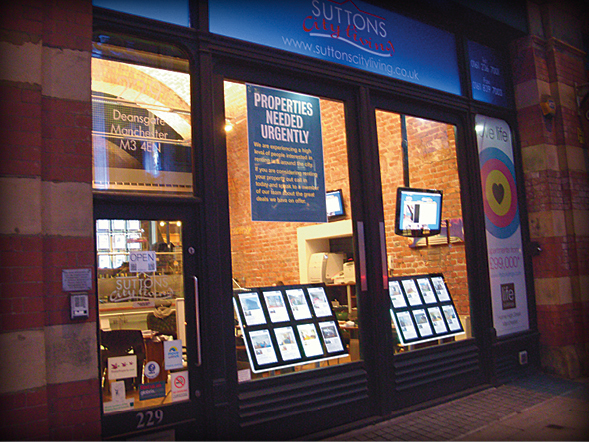 Modern, stylish and proactive, they are aimed to give you a competitive edge! 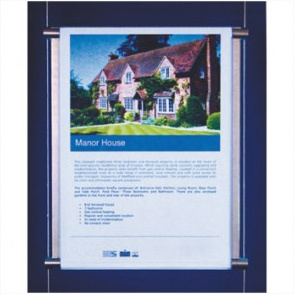 In addition to the through glass touch screens we provide internal wall mount, table & lectern options and are able to offer a bolt-on app for your tablet device to assist your valuers / sales people whilst in the field. For more information you can visit our brochure download page or get in contact. 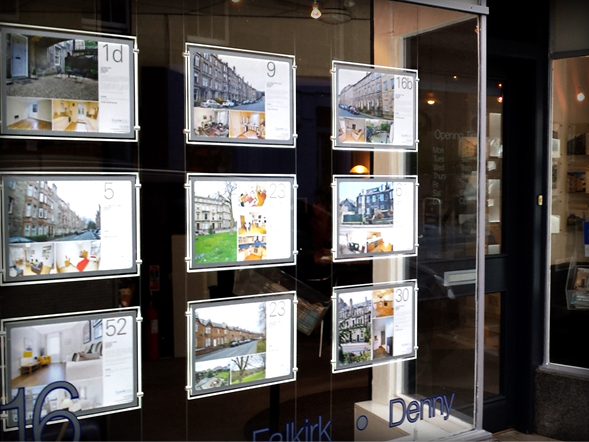 How to double your property showcase without having to move offices to a building with a larger window, a rotating display might be the solution. 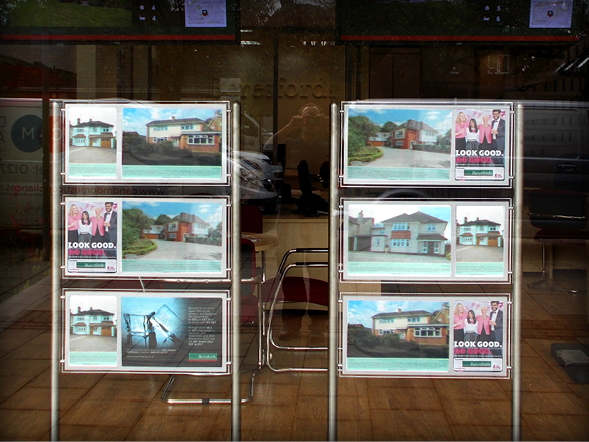 Choice of speed settings (digital interface) adds movement to the window to catch the passer by. 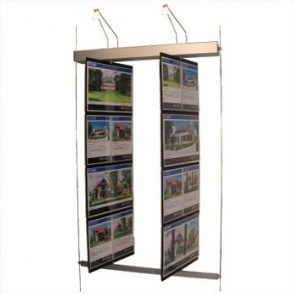 We can manufacture these units specifically for your size of display and with the option of different show card sizes. 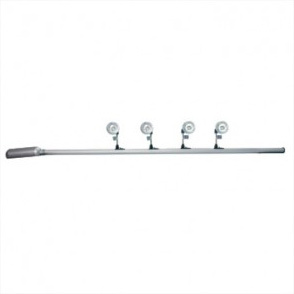 The units can be Illuminated with top light or using our LED bevel edge technology.